Our Vocational School, SMK Sakti Gemolong, Sragen, Jawa Tengah, Indonesia has organized the MikroTik Training and Exam MikroTik Certified Network Associate (MTCNA) from Thursday to Sunday, on 23 January 2014 to 26 January 2014 in our Computer Labs. As we knew, this is the first training organized in school in Jawa Tengah by ID-Networkers.com, Jakarta. 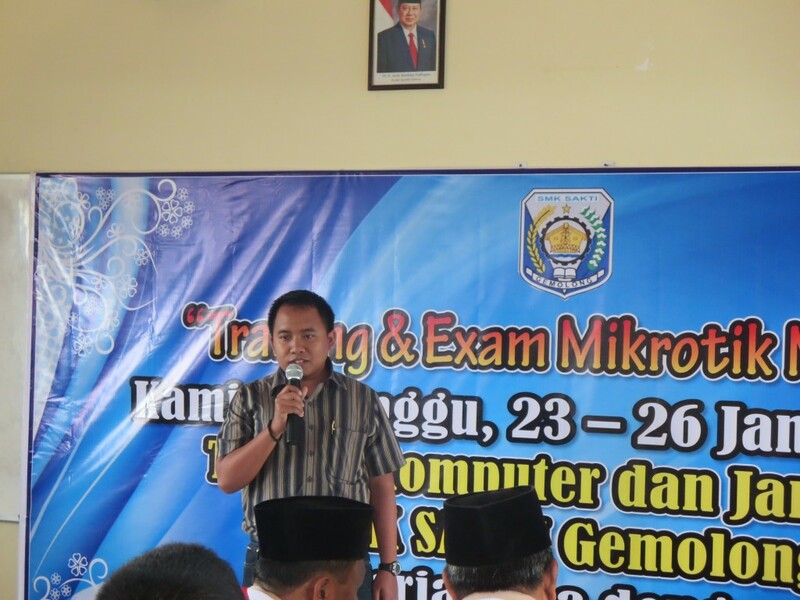 Maybe it was the first time training in school by MikroTik Certified Trainer in Jawa Tengah. IDN is “not a full profit company” because their purpose and aim is making better life for others by learning and studying hard what they have to learn and study. A 100% for teachers free training CCNA and MikroTik and also MTCNA exam. For 9 (nine) days we study with professional Trainers and we realize, great benefits for us as teachers in Vocational school we could share to students and surely they could gain more knowledge and experience about networking especially using MikroTik RouterBoards. 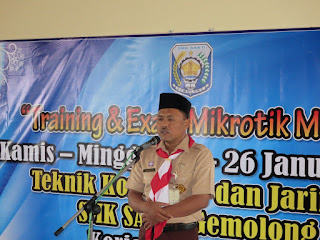 Before the training begun, there was a small ceremony we made and opened by our Head Master of SMK Sakti Gemolong, Drs. Suyono, M.Pd and a little introduction from Mr. Rofiq Fauzi as the MikroTik Certified Trainer from ID-Networkers.com, Jakarta. 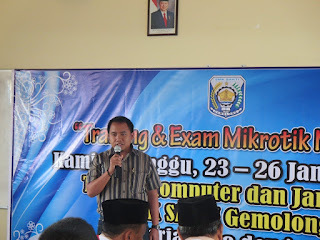 Mr. Suyono said, that it is important to let students growing heir capability and intension for getting best knowledge in Information Technology surely for better life they have dreamed. 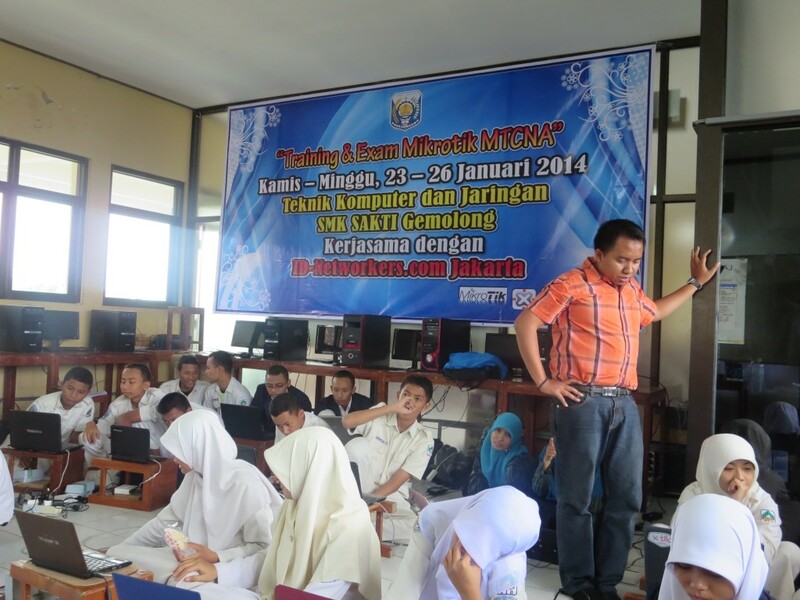 And Mr. Rofiq said using the MikroTik outerBoard as router to route and manage network we build is the best choice for school because MikroTik RouterBoards are mostly cheap and easy to use and also we can install it byself in our desktop. And, finally one by one hit the Finish button, and said Alhamdulillah, thanks Alloh we made it. The trainer looked happy while the students passed the MTCNA Exam. As teachers, we were also glad to know they made it, all of them. 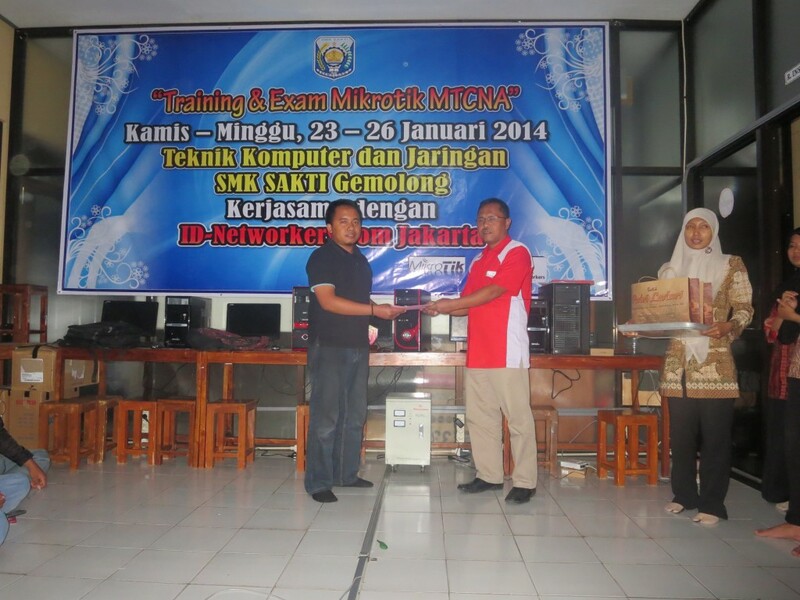 After the opening ceremony of the MikroTik Training and MTCNA Exam, we took pictures with Mr. Rofiq Fauzi. Students were so exited while took a picture with the Trainer. We were really glad finally conducting this event, and hoping will be organized every year for students. 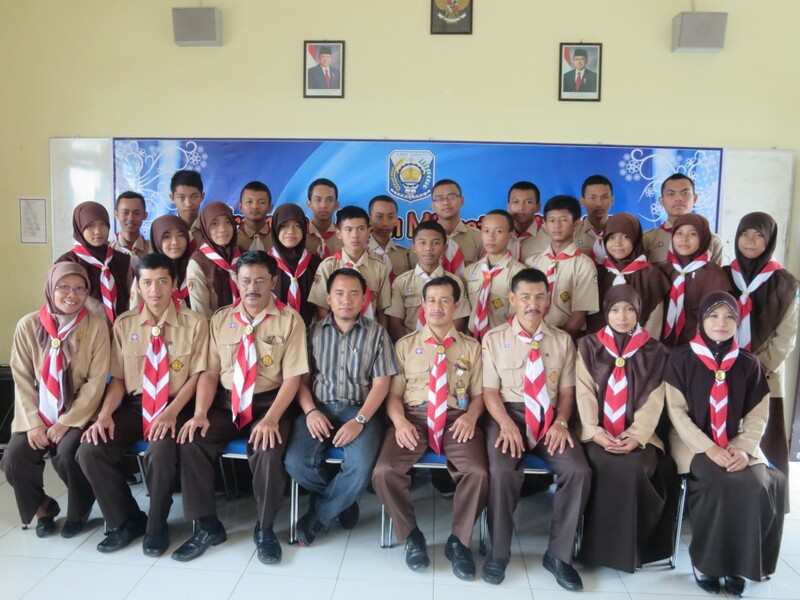 SMK Sakti Gemolong Teachers between Mr. Rofiq Fauzi as MikroTik Training Partner from ID-Networkers.com Jakarta and 20 (Twenty) Students standing behind. 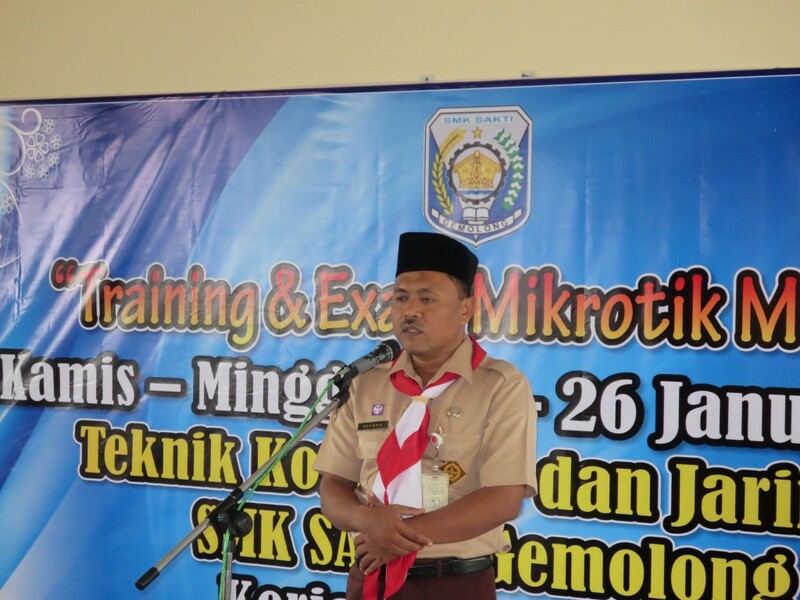 We have a teacher that certified of MTCNA and MTCRE and have had applying for MikroTik Academy for SMK Sakti Gemolong and now waiting for agreement being Academy Trainer. Maybe this week (first week of October, 2014) we will get the confirmation from MikroTik. Thank you MikroTik.